Shark Heroes V: Jacques Cousteau - We Love Sharks! Shark Heroes V: Jacques Cousteau - We Love Sharks! Jacques Cousteau (1910 – 1997) was a pioneer and acclaimed legend in the world of ocean exploration. 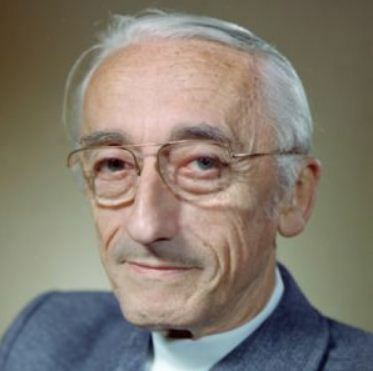 Jacques Cousteau, (or Jacques-Yves Cousteau in full), was an accomplished French naval officer, an explorer, conservationist, filmmaker, inventor, scientist, photographer, book author, and researcher. He spent decades studying the seas and all forms of life in the Earth’s waters. His achievements earned him recognition as a visionary legend in the world of ocean exploration. He sailed the seas worldwide on his 130-foot ship, named the Calypso, during his missions to educate people and improve their perceptions about the world’s ocean environments. Jacques Cousteau was born in Saint-André-de-Cubzac, southwest France, in 1910. His parents were Daniel and Élisabeth Cousteau. As a young boy, he had an intense love for swimming and this was the foundation for a lifelong passion for the sea and everything in it. He went on to buy a movie camera while still young, and learned what to do with it. Jacques completed his preparatory studies in Paris at the Collège Stanislas and then enlisted with the French Naval where he remained for at least 25 years. During this time, he gathered a number of skills that would prove invaluable for his coming adventures on the seas. These skills included how to operate different kinds of boats and vessels perfectly. Unfortunately, an automobile accident interrupted his promising career in naval aviation. Jacques Cousteau sustained severe injuries and broke both his arms in the accident. In fact, he almost died. Consequently, he could not continue with his military path especially the hopes of becoming a naval pilot. However, things eventually worked out for him as this accident allowed him to return to his first love; the Ocean. A major aspect of Cousteau’s work was to show that though some shark species could harm humans, most species are harmless. Following his premature exit from the Navy and for the rest of his life, Jacques Cousteau sailed the world on the Calypso and captured the many wonders of the oceans. He was a pioneer on many fronts and his work paved the way for other marine explorers that came after him. However, if you were to mention Cousteau for one thing, it would likely be the invention of the first scuba-diving gear or “Aqua-Lung.” He co-invented this gear alongside an engineer during World War II. The device was the first of its kind and it allowed divers breathe compressed air underwater. Hence, it made deeper and longer investigation of underwater life possible. In addition to enabling better deepsea investigation, Jacques Cousteau and his team focused on another little-known area; sharing underwater videos with the public. Their other innovations allowed them capture stunning footage deep in the sea and share them with eager and captive audiences worldwide. Consequently, their devotion and obvious passion resulted in the an internationally well-received TV documentary series called The Undersea World of Jacques Cousteau (1966-1976). The series ran for a decade and viewers got to see real footage of the team traveling the world on different adventures. Each episode would focus on some different kind of sea creatures. The team filmed invertebrates, variety of fish, marine mammals, but best of all they filmed lots of sharks. As a matter of fact, “Sharks” was the title of the first episode. This first episode focused on shark behavior with the Calypso’s team sailing from Monaco, through the Mediterranean Sea, to the Red Sea, and then the Indian Ocean. Even Dr Eugenie Clark was a guest on the Calypso’s adventures at some point. The aim was to challenge harmful myths and instead, provide realistic science-backed facts about these animals. Jacques Cousteau and his team were pioneers and are known to date for filming the first ever underwater nature documentaries. Jacques Cousteau focused on different areas of shark research. For instance, shark tagging, migratory patterns, testing shark repellents, and so on. Similarly, Jacques Cousteau documented his work, research, and findings in several books he wrote. The most popular among these books is his first one; The Silent World: A Story of Undersea Discovery and Adventure (1953). Cousteau also directed a number of nature films one of which was based on his above book The Silent World. The film was so well received that it won a Palme d’Or during the 1956 Cannes Film Festival. In fact, The Silent World remained the only documentary film to win the Palme d’Or till Michael Moore also won the same award for the political documentary Fahrenheit 9/11 in 2004. Cousteau’s beloved vessel, the Calypso, was accidentally rammed and sunk by a barge on January 8, 1996. The accident happened in the Singapore Harbor. 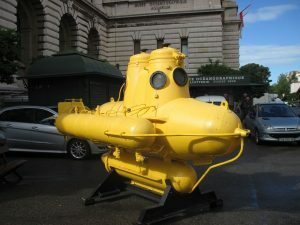 Thereafter, Jacques Cousteau tried to raise funds for a new vessel. But he died suddenly of a heart attack in Paris on June 25, 1997. He was 87 years old at the time. Unfortunately, his estate fell into dispute among his survivors. Although by 2000, most of the legal disputes were over. Jacques Cousteau remains a legend for several achievements and research. His legacy includes at least 120 television documentaries, over 50 books, and an environmental protection foundation boasting of about 300,000 members.